Former ESPN broadcaster and over-under aficionado Brent Musburger now has his own radio show for the Vegas Stats & Information Network called “My Guys In The Desert.” The Washington Post’s Adam Kilgore visited him in Las Vegas for a profile, which revealed the depths of his love for gambling, and how he went and lived in a casino more or less immediately after leaving ESPN. He sounds like a man very much at home in Vegas, happy to talk sports and bet in the desert. 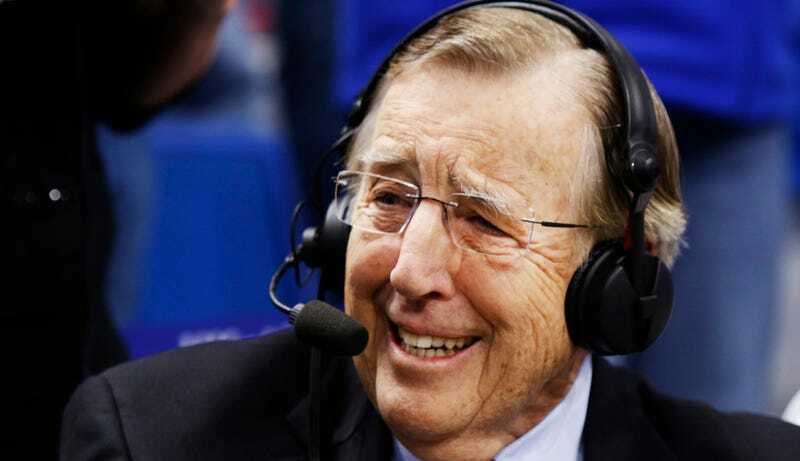 Brent Musburger finally found a place where an old man can shamelessly announce that he’s aroused. Must have been a difficult search.